UK9's very own Chantelle Goddard Jones and Gareth Bowyer are at the ICF World Championships. We managed to catch up with them as they were taking a little trip to check out the local area. Chantelle said that they are experiencing Blue skies and warm temperatures ahead of the racing and they have been out cycling the trail numerous times already. The atmosphere at the venue is friendly and very relaxed according to Gareth. They are both looking forward to the festivities of the opening ceremony later this evening. 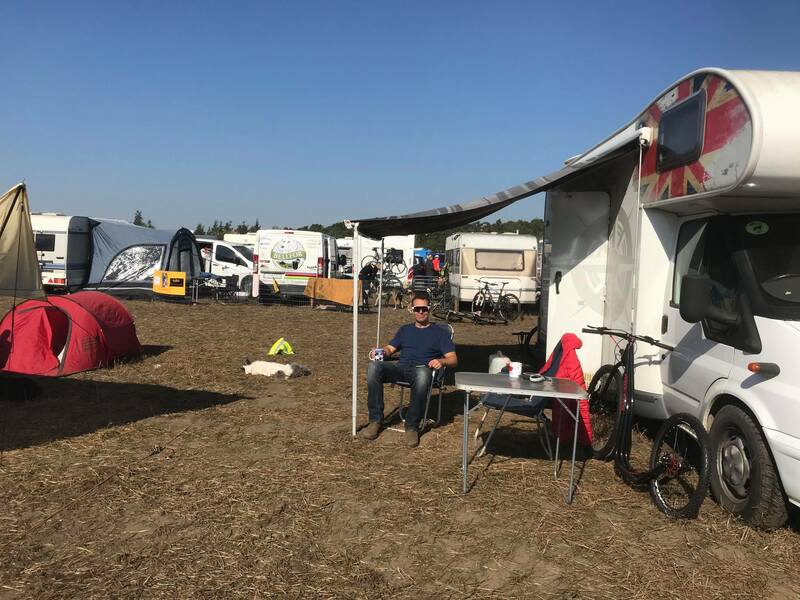 If you are over in Poland racing, why not pop over and have a chat to the team? Jamie has been running dogs for around 5 years, but is still a comparative newcomer to the race scene. He races in 4 dog open rig and whilst still learning his trade he is fast earning respect from his fellow competitors.